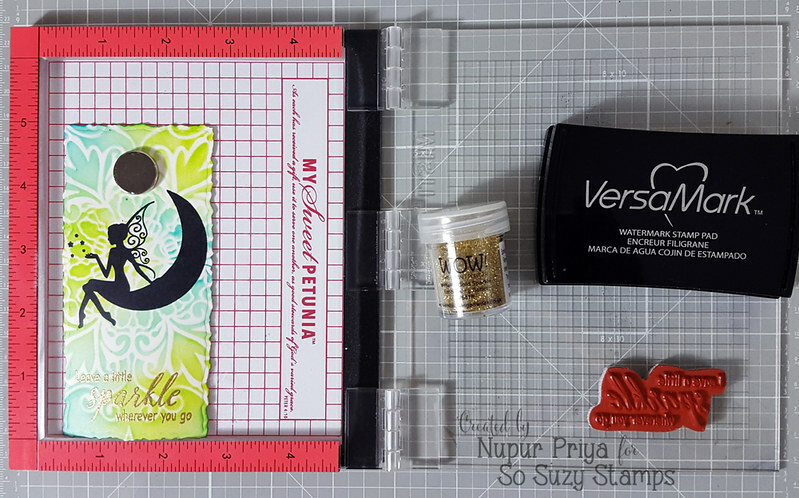 Hello friends & welcome to So Suzy Stamps November Release Blog Hop! We will have FREE International Shipping November 1st - November 5th for the Hop on all orders above $25 !!! You can Shop HERE... Run to grab your favorite stamps.. They go out of stock in a blink! 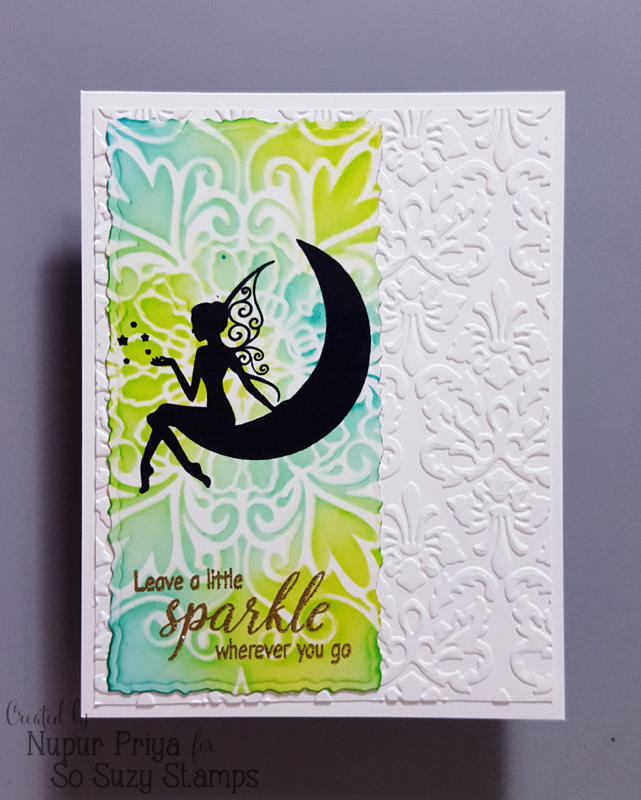 I choose Leave a Little Sparkle stamp & paired it with one of our previously release stamp Moonlight Fairy... I love both the stamps & I think they compliment each other so beautifully! I started with die cutting a strip of white cardstock & inking it with Twisted Citron & Mermaid Lagoon Distress ink, Memory box Stencil & my Clarity Brushes. 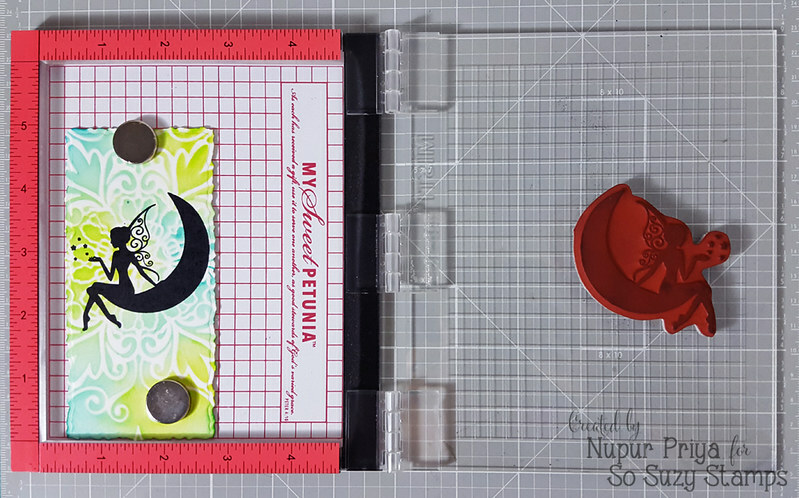 Next I stamped the Moonlight Fairy stamp with black archival ink & Mini MISTI. Since the sentiment Leave a Little Sparkle has word sparkle in it I wanted it to sparkle literally so I heat embossed it with gold sparkle embossing powder. We have a prize of $25 gift certificate & Christmas Bunkie Bag. To be eligible to win this awesome prize all you have to do is leave a comment on all the blogs participating in this blog hop till 5th November... ! So pretty! Love that glittery embossing powder!!! Gorgeous card. 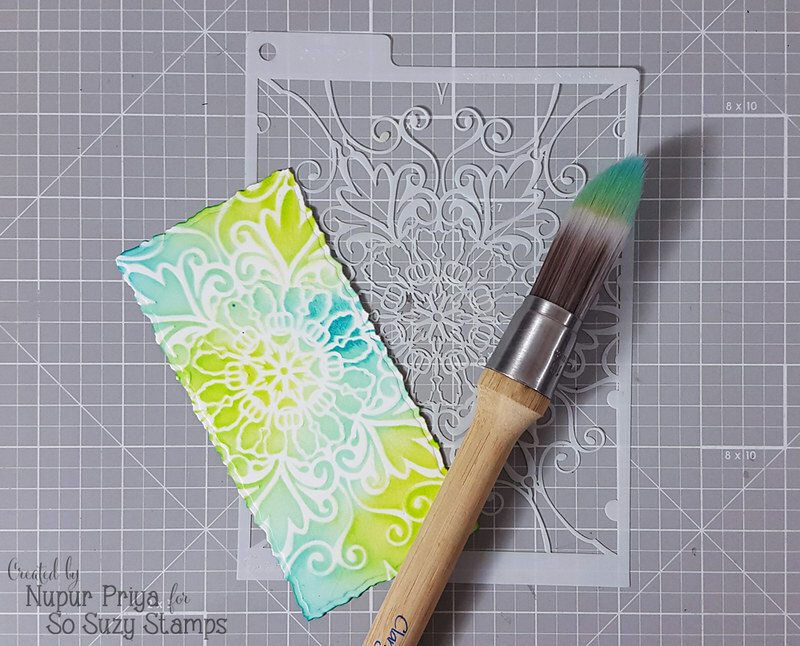 Great embossing and coloring. Hey Nupur!! Simple beautiful!! I love your card and the colors. Nicely done. This card is so whimsical and fun! Such a pretty card. I love Suzy's fairy stamps. Beautiful job. Such a pretty Whimsical card. Love the colors of the background with that beautiful design. Such a pretty card and yes the fairy stamp and the sentiment stamp do coordinate beautifully. Love the addition of the sparkly gold embossing, lovely detail. Thanks for sharing. Wow!! Your card is so lovely and I love all the details. 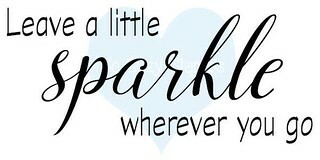 I have to agree, the fairy stamp and sparkle sentiment do look nice together. 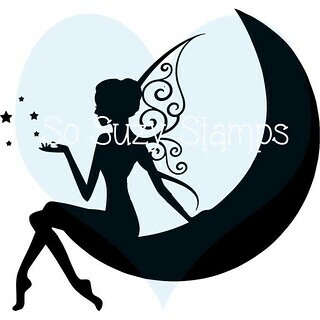 Beautiful fairy and sentiment stamps! Love the pretty colors and texture on your card! Gorgeous! I love that new stamp! You really know how to make the prettiest fairy cards ;) Awesome colors and I really like the golden sentiment! Gorgeous background live the colors. Great job. The colors are perfect! is a beautiful card! That stencil goes great with the embossed background. I love the colors you used and the fairy is a beautiful stamp. 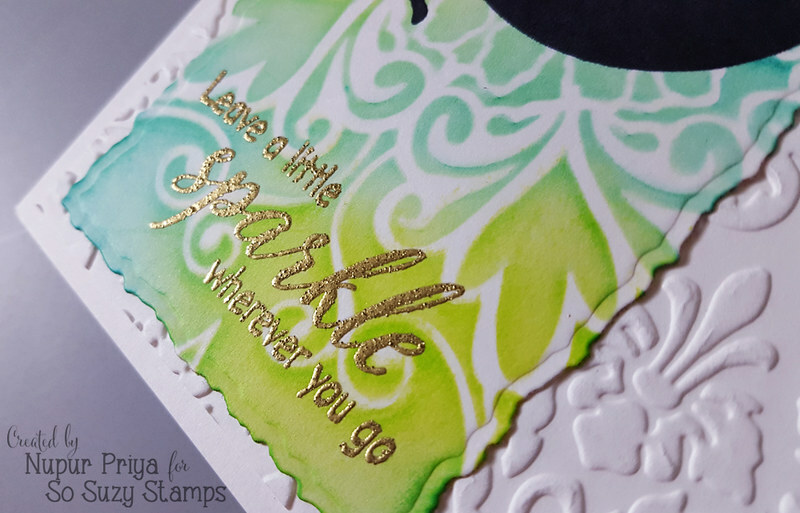 Heat embossing the sentiment with sparkly gold was a great choice. Your card is awesome. Love this stamp and sentiment....love love love the colors! Love the black silhouette against the beautifully blended background. This sentiment goes together perfectly with the silhouette image! Very beautiful! It looks really pretty and sparkly in the photo too. Well done. Just gorgeous Nupur! You always do such a gorgeous job with all your creations!